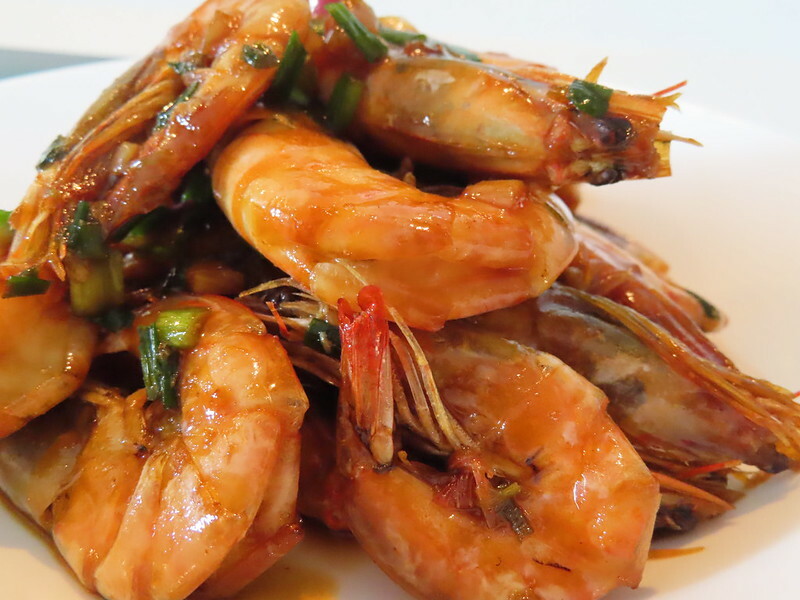 Clean prawns. Remove all the whiskers and intestine. Also make a cut at the back. Heat a pan. Add in oil. 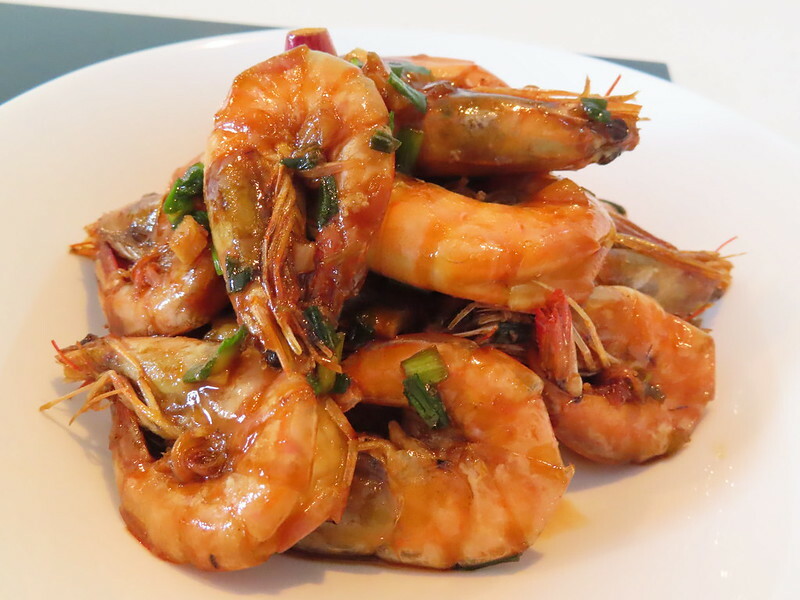 Fry prawns with low medium heat. Flip over to fry the other side till red oil comes out. Do the same to the other side. Then set prawns aside. Heat the pan again. Add in a little extra oil if needed. Saute chopped ginger, garlic and spring onion till aromatic. Add fried prawns into the pan. drizzle in a little cooking wine to remove the fishy smell. Put in 1 tbsp light soy sauce, 1 tbsp cooking wine, 1 tsp black pepper powder, 1 tbsp sugar. (you can mix all the sauce ingredients in a bowl before cook) . Turn to low heat and simmer for 3 mins. Reduce sauce with high heat. and ready to serve.